I'm a thirty-year studio veteran and lifelong drummer. I'm also a tone freak. I absolutely love great audio and original drum sounds. If this sounds cool to you, please subscribe, and I'll send you my free PDF book, "Killer Drums - Foundational Methods for Capturing Incredible Drum Tracks"
Modular Analogue Part Two: The (Hopeful) Future of Pro Audio Modularity? In Part One of this series I provided an abbreviated history of API’s popular 500-series modular format for analogue audio hardware and addressed a couple of concerns people have voiced over the format as well. In this installment I’d like to take a rather dramatic turn and begin a discussion of an entirely new, more comprehensive modular format for pro audio hardware – one that doesn’t currently exist, but one that would truly love to see developed. Since I have begun discussing modular analogue hardware formats I thought I'd go ahead and share with you a couple of posts I wrote for DIY Recording Equipment's blog discussing the development of a DIY 500 series Pultec EQP-type module project I designed for them. There is no doubt that the 500-series, rack mount modular format created by API has become hugely popular in recent years, both for small and larger studio installations alike as well as musicians and even hobbyists. And why not? It is a cost-effective, modular analogue format that allows users to purchase a host rack and then populate it with any number of hundreds (thousands?) of available devices from mic and line preamps, DI’s, equalizers, dynamics and effects processors to form their own ideal (and often portable) signal paths. Beyond its obvious usefulness and cost-effectiveness (one power supply, lots of modules), the success of the 500 series format intrigues me, because it wasn’t really designed to be an open format for support and development from other manufacturers, but rather, it developed into this organically. In this video I process a close-miked guitar amp in such a way as to convincingly emulate the sound of a microphone placed across the room from the cabinet. This effect is helpful for creating a roomier, wider soundscape with more depth and dimension. In the DAW environment it is all too easy to mix with your eyes. In this video I discuss the kinds of real world EQ curves that I use in my mixes and decided to have a look at them, literally. 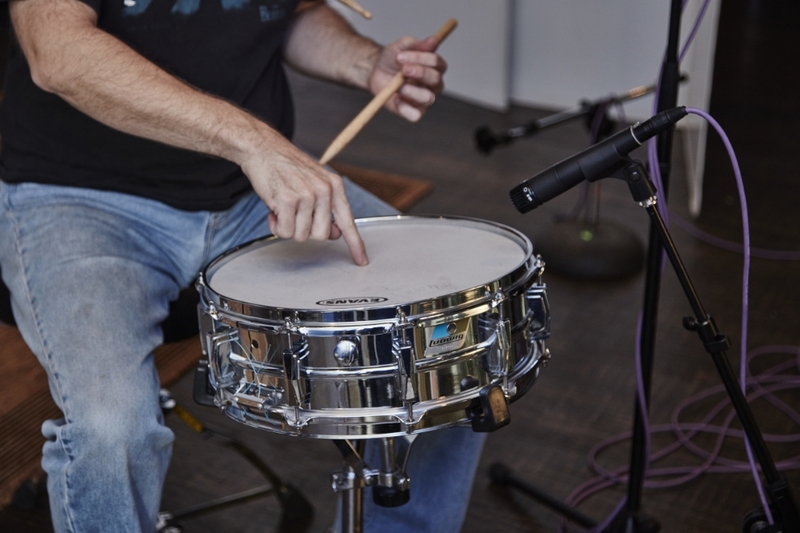 When miking a kick drum from the rear (for attack, because there are no holes in the front head to stick a mic into the drum) there is a ton of leakage from the bottom of the snare. Here is a video on how to deal with that leakage when mix time comes. No drum room mics in your mix? Fear not, here's a handy trick for creating the illusion of room mics when you don't actually have any.